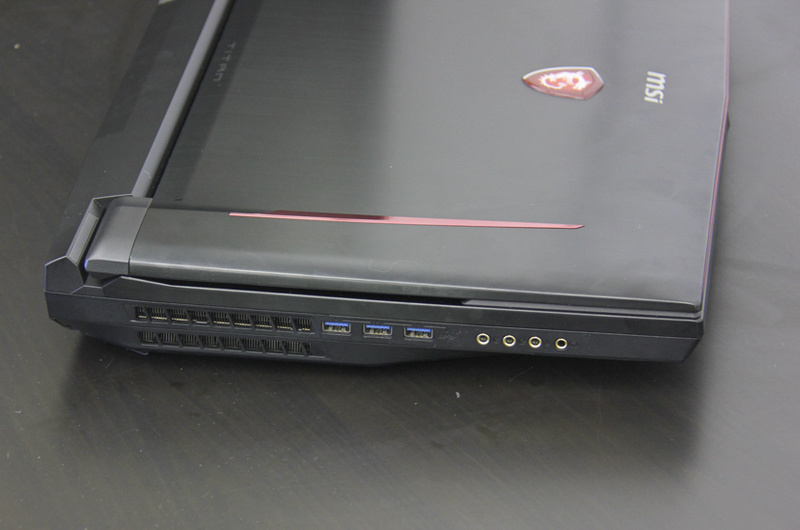 Gaming laptops have evolved to such an extent that it is possible to have models as thick as an ultrabook while also being more than powerful enough. 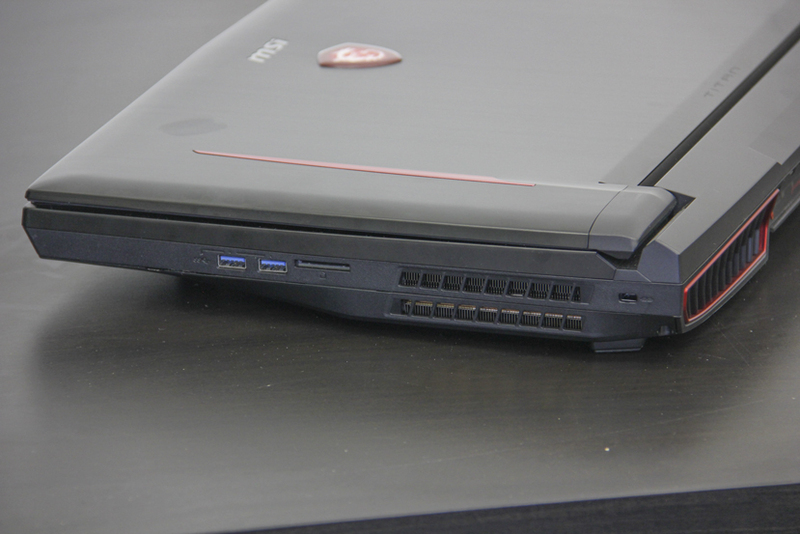 However, if we want the maximum performance available for a laptop, we will have to forget about gimmicks and go for devices on which their lightness or compact sizes fall into the background, like it happens with this MSI GT75VR Titan Pro. This devices is a gaming laptop in all the sense of the phrase: a device on which the most important things are performance and specifications, and on which it does not matter if it is 5 cm thick or weighs almost 5 kg. 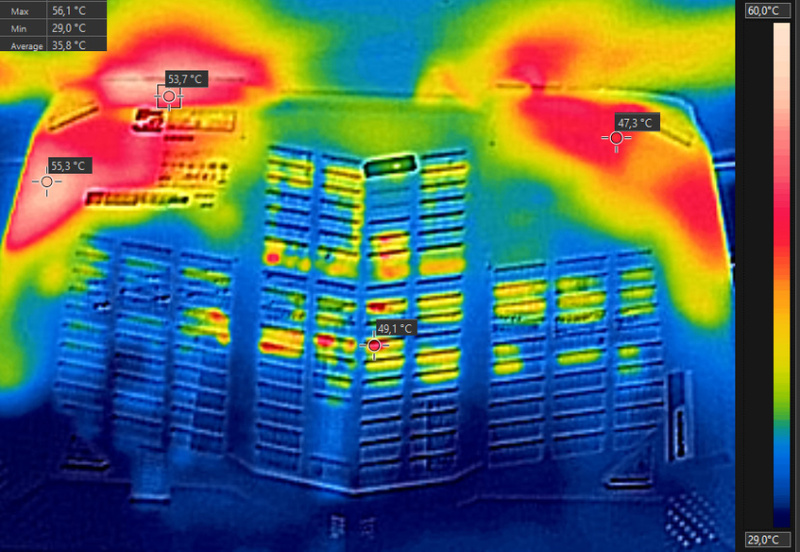 What matters is its performance and for it to be able to cool everything seamlessly. Theoretically speaking, this is a promising device due to its Core i7-7820HK, its GTX 1080 and its 17.3-inch 4K panel. Let’s see what the MSI GT75VR Titan Pro is capable of. We can tell you right now that this is not an ultrabook nor does it pretend to be one, and we will not be looking for a sober or elegant design, as this is a striking laptop in terms of size, power and design, of course. 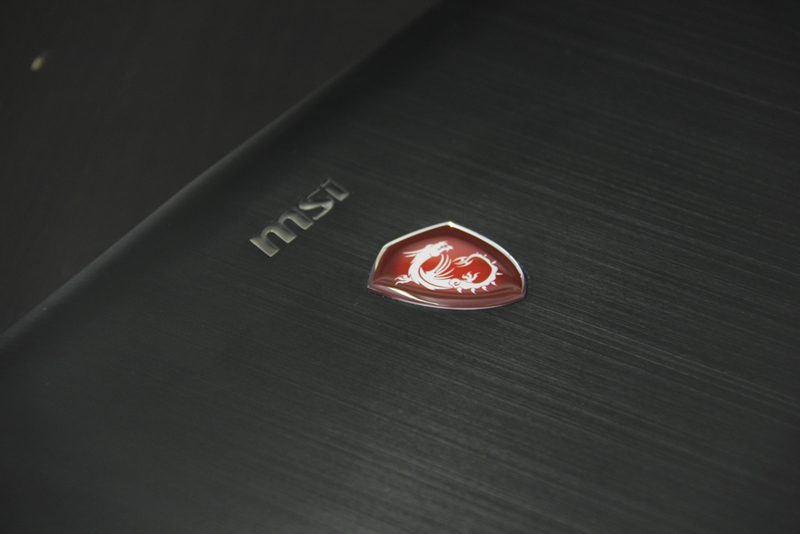 The lid is made of aluminum and it has the MSI logo with the backlit dragon in the center as well as two red lines that give the laptop a “gaming” touch. This laptop’s thickness is huge, being almost 6 cm thick, meaning that we could stack four or five ultrabooks and still have some room left. On the back, we have two huge exhaust vents to expel the air coming from the graphics card and the CPU’s cooling system, in addition to HDMI, USB-C 3.1 and Thunderbolt 3, DisplayPort and Ethernet ports. The vents are also featured on the sides for a total of four. 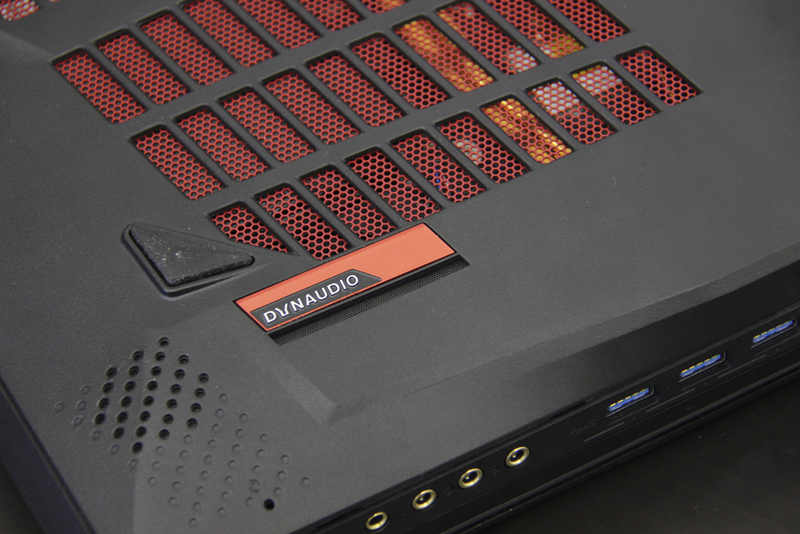 We can also find more USB 3.0 ports and four audio ports on the sides. Once we open the lid, we can see the display surrounded by quite large frames that remind us that reducing the size, the thin frames and things such as those are very much put in the background. We will dedicate a whole a section to the keyboard because it deserves it. 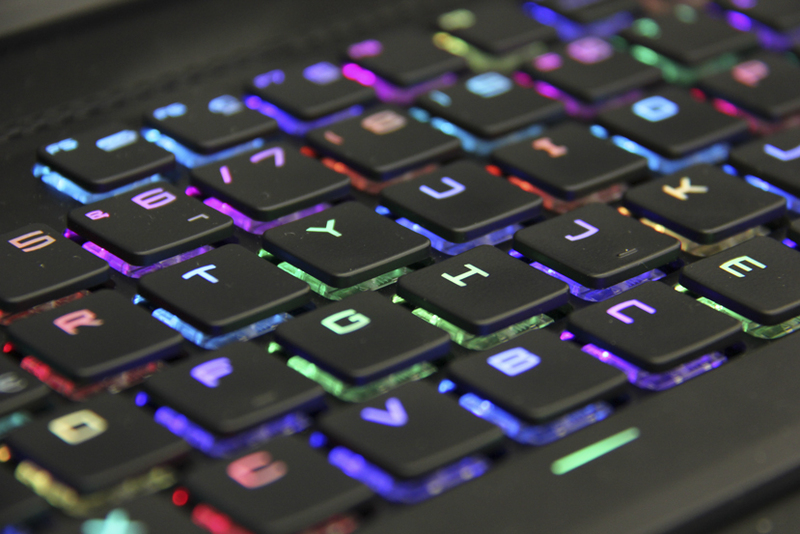 As an introduction, we can say that it is a fairly powerful RGB keyboard by SteelSeries that integrates Rapid mechanical switches with a 1.5 mm actuation distance, and we can say right now that we liked it a lot. The trackpad is located on the surface’s center, placed slightly to the left. On the right, we have the power and command buttons (to speed up the fans to 100% or change the keyboard’s configuration). Here is where we see the reason why the laptop has such a thick body and a large size in all its glory. 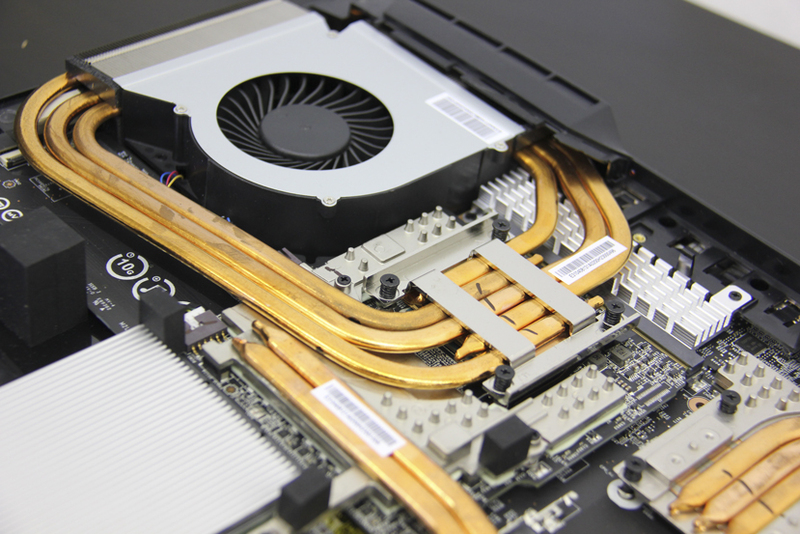 The MSI GT75VR Titan Pro is incredible in terms of its components, and with it we do not have restrictions in terms of space to get a cooling system that has no problem in keeping the processor and the graphics card’s temperatures under control, even when overclocking. Therefore, we find four exhaust vents attached to two large fans and a set of ten copper heatpipes: three for the processor and seven for the graphics card. 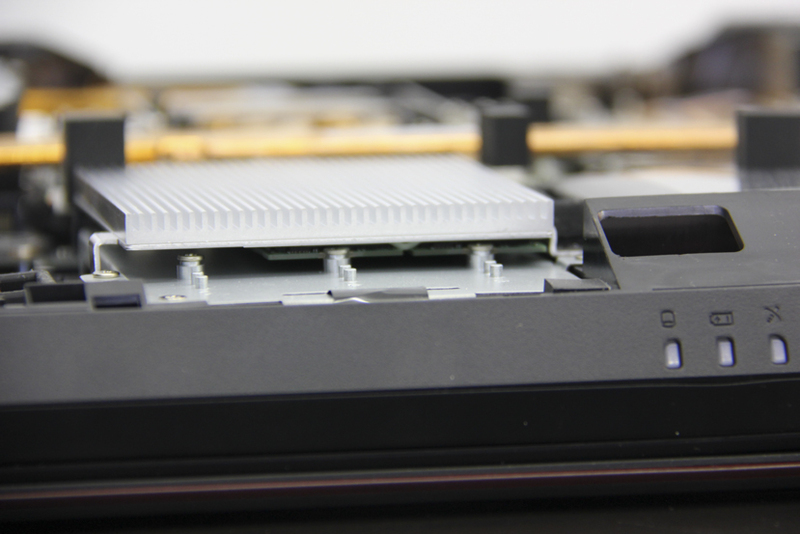 As the laptop has so much space, we have a heatsink with aluminum fins that dissipates the heat generated by the two M.2 NVMe SSDs, allowing them to offer a maximum performance without overheating. We have a 2.5-inch SATA mechanical hard drive under the two M.2 SSDs. To the storage units’ right, we see the battery, which is quite small in comparison to all the room the device has. We have to keep in mind that these laptops are meant to be used while plugged in; in fact the performance drops abruptly if we unplug them. We can also see the subwoofer and the two speakers, which are elements that perfectly fulfill their purpose, providing a clear and loud sound during game sessions. Having so much room also allows to improve this kind of device’s audio quality. Getting inside the laptop is really easy. We just have to take off the usual screws and remove the back lid. 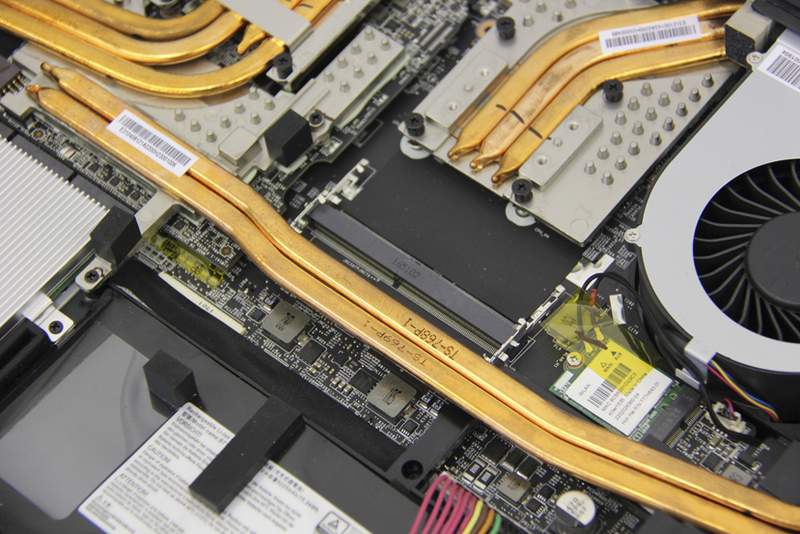 We can also add more memory by using the two available SO-DIMM slots for a maximum of 64 GB. Even the graphics card can be replaced given that it comes in the MXM format. 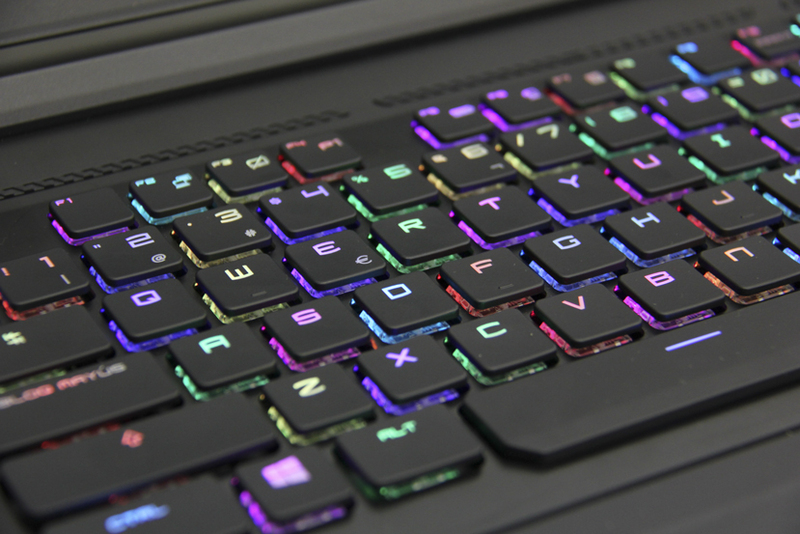 One of the details that we liked the most about this MSI GT75VR Titan Pro is its mechanical keyboard. MSI had already featured entire mechanical keyboards in its bigger devices, like the GT83, but this type of keyboards was not something typical on a laptop, as they made the device even thicker. 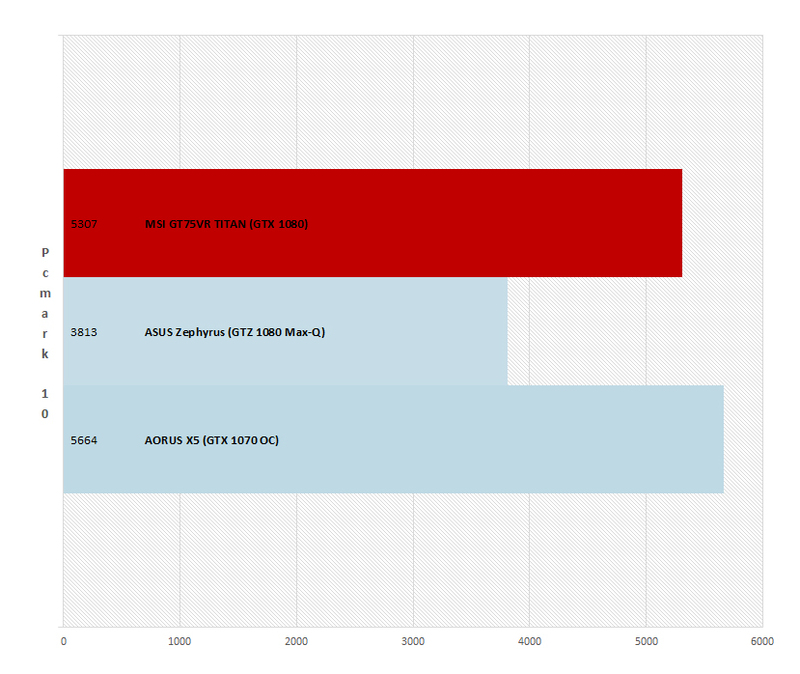 Perhaps the GT75 is not the ideal device to look at to check the keyboard’s thickness, but it does give us a clue as to what the future will hold for the MSI laptops family. The keyboard is SteelSeries-made and each of its keys has a lower profile than that of desktop PC’s keyboards, although it is much higher than that of the chiclet keyboards featured on laptops. We are specifically talking about a 1.5 mm actuation distance that each of the switches has, making them offer a very good tactile feedback. Thanks to the feedback, you may notice how you press the key and it moves to register the input and then returns to its position. It is true that, in terms of these keyboards, each user has their preferences: there are those who prefer keyboards with longer or shorter key travel and with different actuation forces, but for a gaming laptop like this one I think that MSI chose the switches successfully. 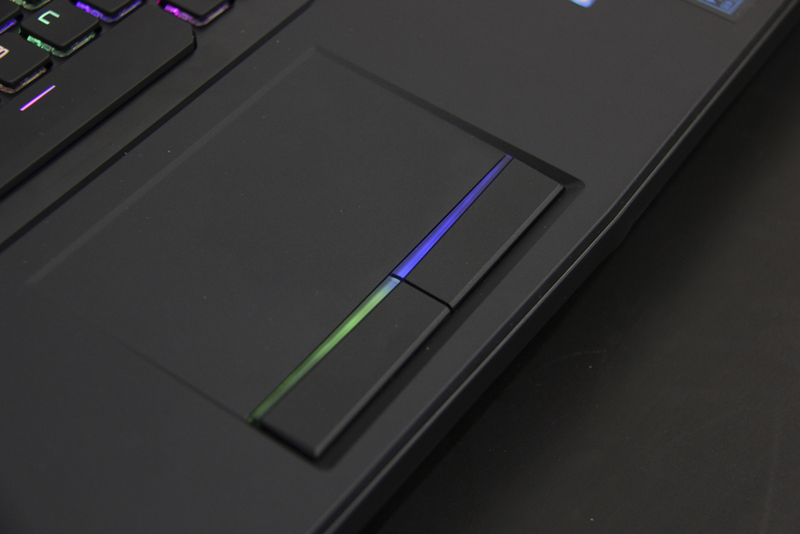 Hopefully, we will see these switches featured in the brand’s entire gaming laptops lineup, although their thickness will have to suffer a little bit. The keyboard’s layout is more or less standard: the Enter key is not as big as we would have liked it to be and there are some keys that changed places or are missing (the lack of the FN key on the left side is really frustrating). The RGB backlight is perfectly noticeable. This device does not struggle with dim or little visible lights and you can throw a color party with the different modes of independent colors for each key. Additionally, the trackpad behaves well and without problems, and it has a comfortable size. Its two physical buttons also have a fairly large travel distance and fit the rest of the keyboard. 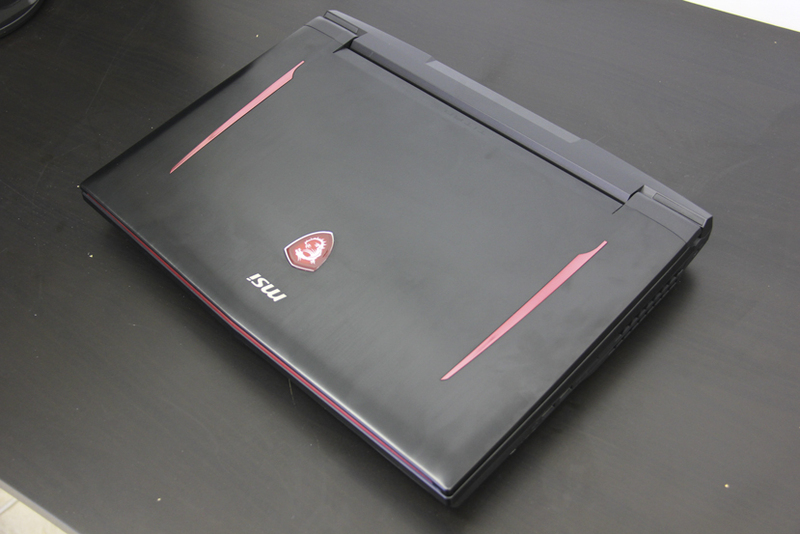 The MSI GT75VR has two possible 17.3-inch display choices. In this case, we received the model sold in Spain that features a 4K display with an IPS panel, 60 Hz and G-SYNC, being capable of covering the entire Adobe RGB color gamut. A panel with these specifications, at least those related to color reproduction, is not usual in gaming laptops, as said feature is usually more typical in devices meant for designing. However, keep in mind that such a powerful device can be used for things other than just for gaming, as it can be a good workstation for multimedia tasks. We have tested the screen to see if the panel is really capable of providing what it claims. 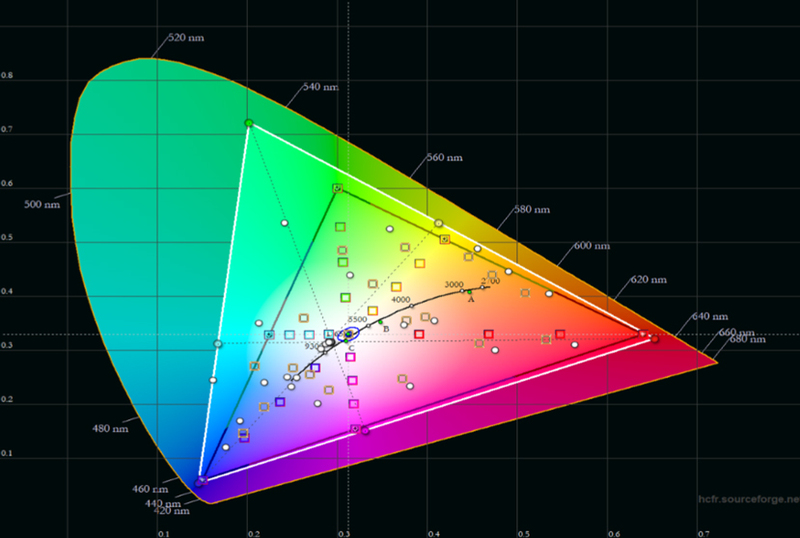 First, we begin with the CIE diagram, which shows us specifically the range of colors that the display is capable of reproducing. I must confess that I repeated the test several times in case there was a measurement error, but no, the results were consistent, and this panel delivers what it promises: not only is it able to cover 100% of the Adobe RGB color gamut, but it also goes beyond that coverage. Of course, covering the sRGB color gamut (the inner gray triangle) is not a problem because it is much smaller than the Adobe RGB color gamut. 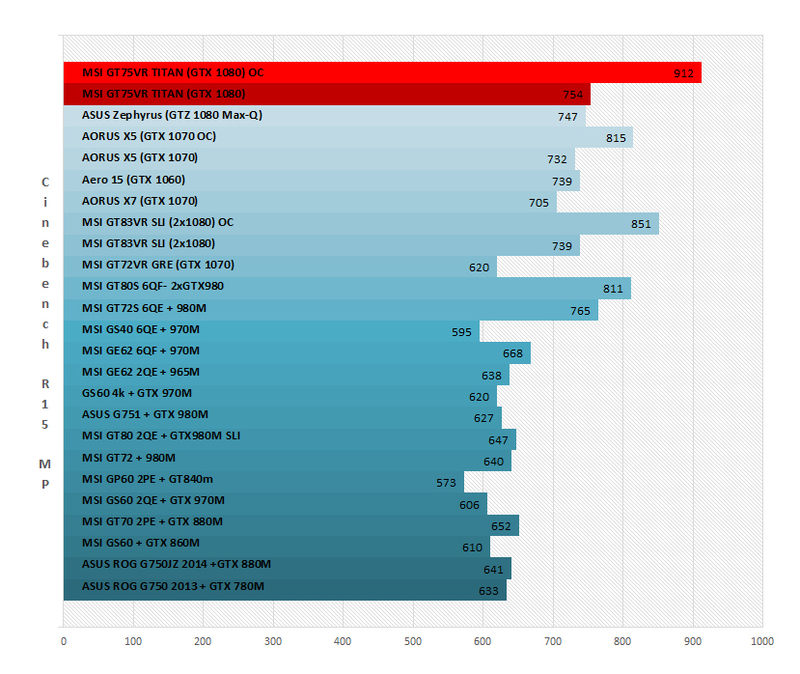 These certainly are amazing results that make the MSI GT75VR Titan Pro the laptop with the best display in terms of color reproduction. The laptop has different color presets. We have selected the “sRGB mode”, which is the most commonly used to see the out-of-the-box RGB calibration on the grayscale. The results are not particularly good if what we look for is to get results close to reality. We can see how the green color gets very close to the ideal 100%, but the red color is quite below at around 85% and the blue color goes over 115% in all cases. We can correct that by calibrating the display without much trouble, at least if we want the reproduction to be closer to reality, but as we always say, there are many people who prefer bluer or cooler tones, so it depends on their choice. In fact, after testing the white balance, we can confirm that the display leans toward the blue color, with a temperature close to 8000K, whereas the “true” white is considered to be close to 6500K. 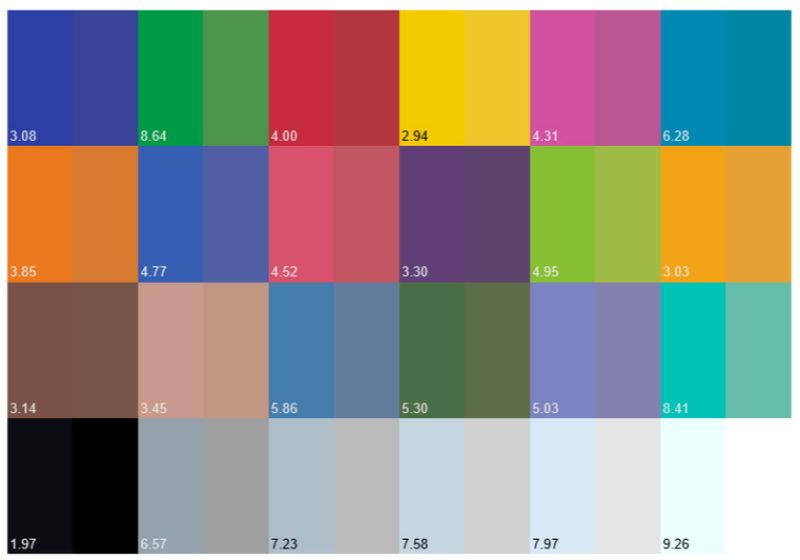 As always, we give you the color checker chart that shows the difference between the theoretical color and the one shown on screen: the higher the value, the greater the difference and the worse the result. As for the maximum brightness and native contrast’s values, we see that the MSI GT75VR’s 4K panel offers a maximum brightness of 340 cd/m² and a native contrast of 731:1. The panel is matte and prevents annoying reflections. 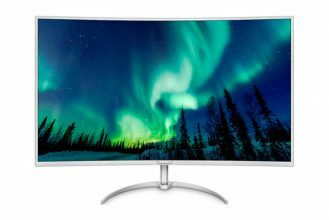 Additionally, its hardware is perfectly capable of handling the 4K resolution, which is an amount of pixels that we are thankful for in 17.3 inches. We will not talk much about this laptop’s battery life. Its battery is pretty much a UPS that prevents the laptop from turning off if the power goes out so that we can save our game without losing our progress. The battery is not capable of providing the necessary power, so performance falls sharply from 150 FPS in DOOM to basically a slide presentation at less than 10 FPS when we use the battery. 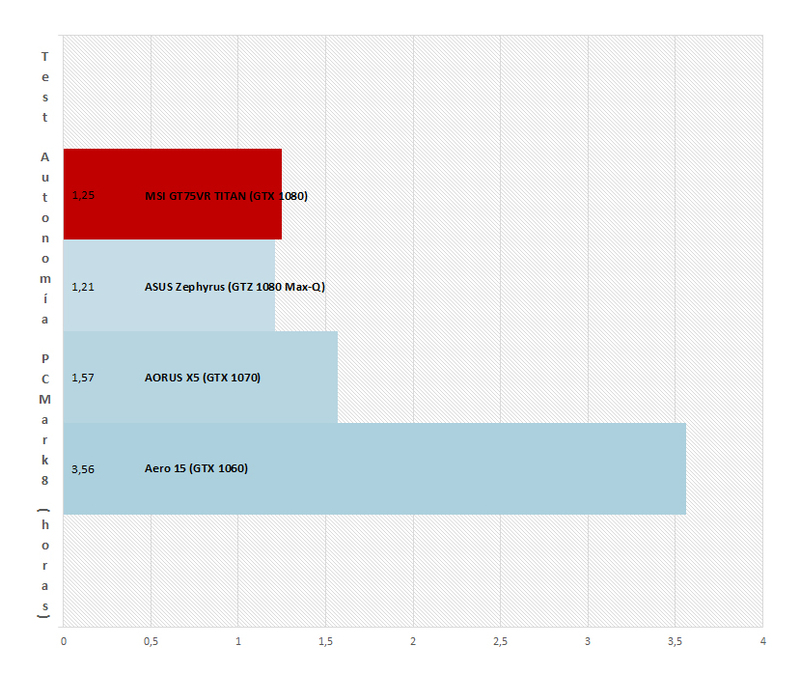 We measured the battery life with the PCMark 8 test, putting the battery under load with office apps, multimedia and some games, and we got a result of 1.25 hours, which is a low number that stays within the range of other less powerful gaming laptops. Even so, this is not a laptop to be carrying around to use it with the battery due to its weight and size. 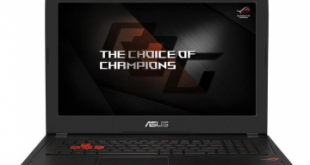 Few games could put this laptop’s hardware in trouble today: the GTX 1080 is the world’s most powerful graphics card for laptops and, in this case, there are no reduced MAX-Q versions or temperature problems, as we will see in the tests. 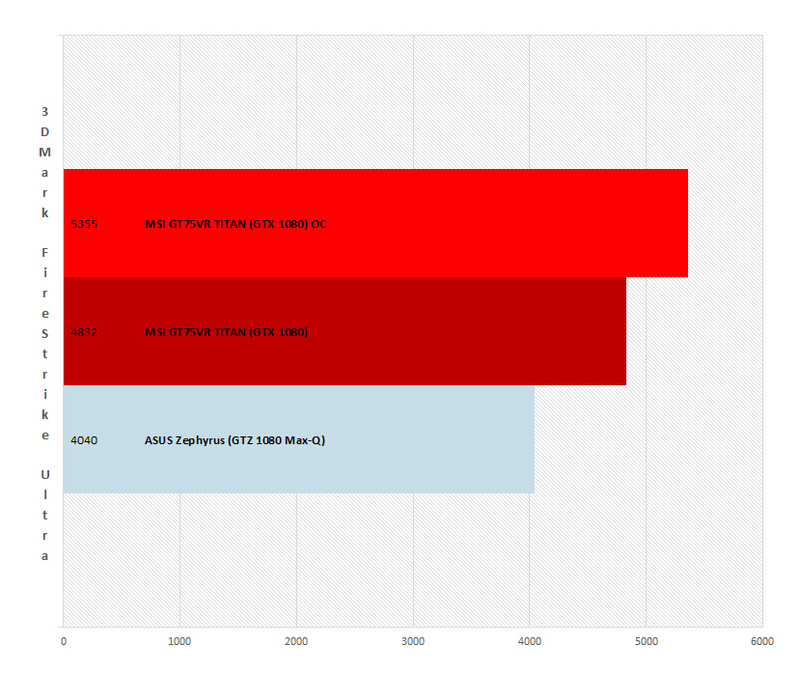 We even have the possibility to overclock, meaning that its performance can be even better. 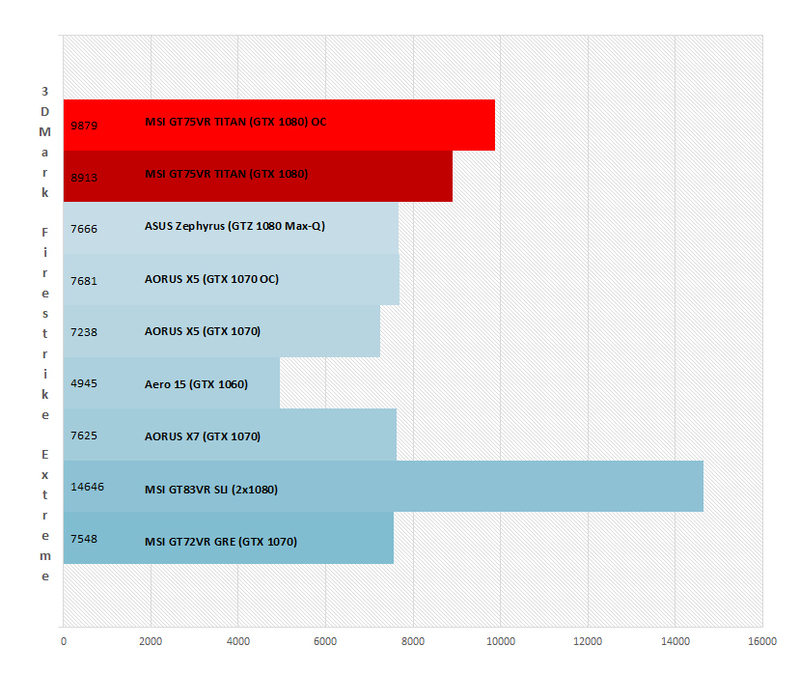 The same goes for the processor: the Core i7-7820HK is one of the most powerful options for laptops. 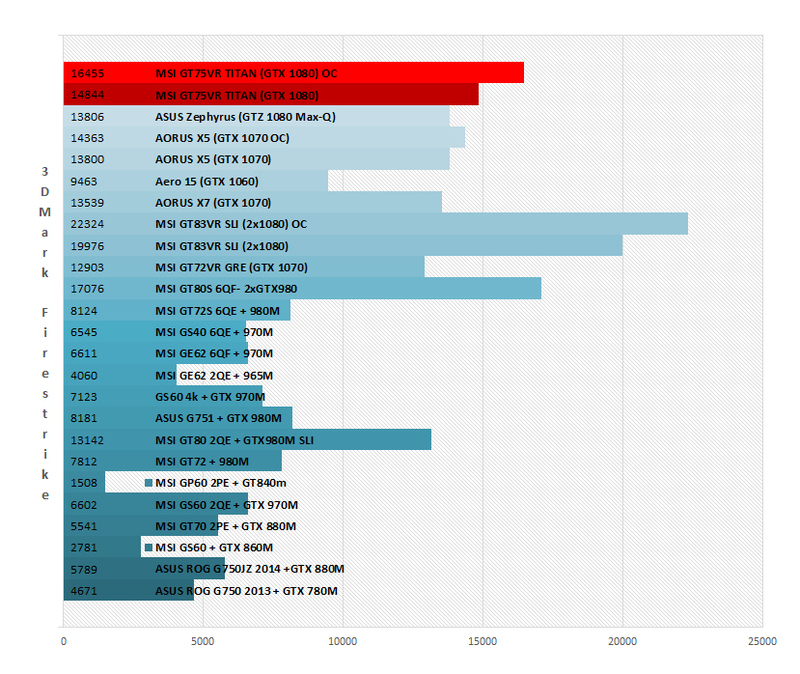 It can be overclocked to 4.2 GHz while its temperatures never achieve dangerous values. In fact, there is no throttling in this device. 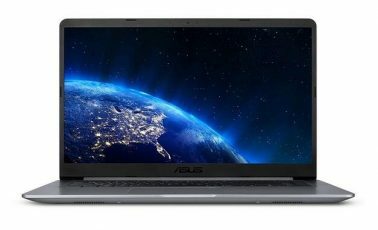 The laptop has passed various performance tests, both with the maximum possible overclocking for the CPU and graphics card as well as without it, so you can see what can be squeezed out from this already desirable hardware. 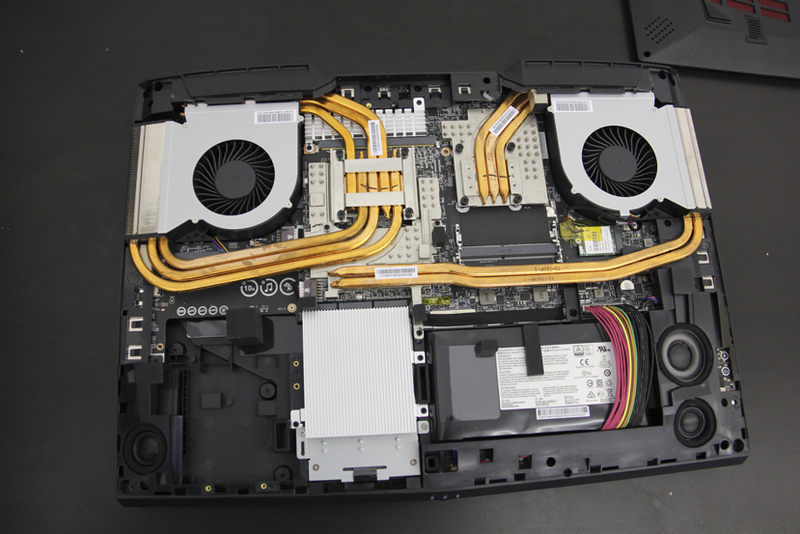 As we were saying, this laptop’s cooling system can keep its components under control without any problem. 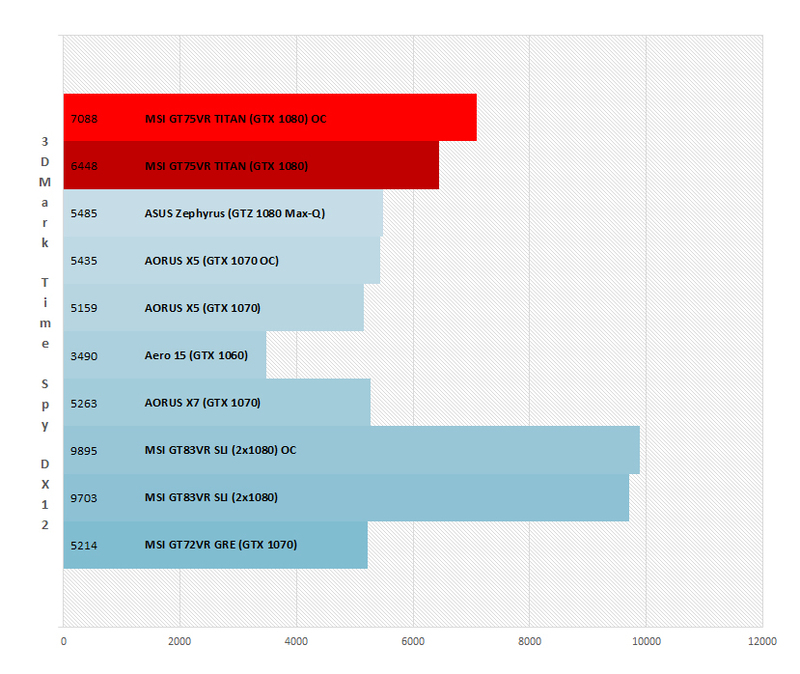 During DOOM game sessions with Vulkan at 4K and with the maximum level of detail, the maximum temperatures achieved were 80° on the graphics card and 82° on the processor, and we are talking about a game that other laptops’ cooling systems had trouble with, as we have already seen in other reviews. 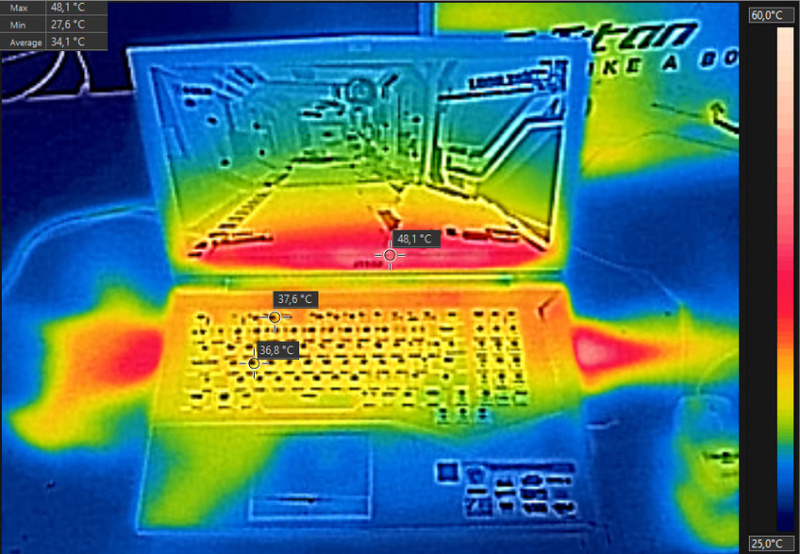 As for the external temperature, we got around 37° on the keyboard’s surface, meaning that it never felt uncomfortable. Additionally, the fact that the keys’ travel distance was longer than usual kept the temperature even lower. To maintain these temperatures, the huge cooling system works nonstop, expelling air at more than 55°. It is worth mentioning that, even without activating the fans’ speed limit in normal mode, the sound levels remained quite low for what you would expect from a device with such characteristics. Also, in case that we find ourselves in a hot environment, the laptop has a button that get its two fans to their maximum speed. This mode generates a lot of noise, but thanks to it we can use the laptop to its maximum performance even during summer. In fact, pressing that button when using the laptop for gaming translates into a 10° drop on both the processor and graphics card in just a few seconds. Although we like the super thin, lightweight and powerful laptops a lot, we also love the models that are free from any kind of restriction in order to get the most out of them. 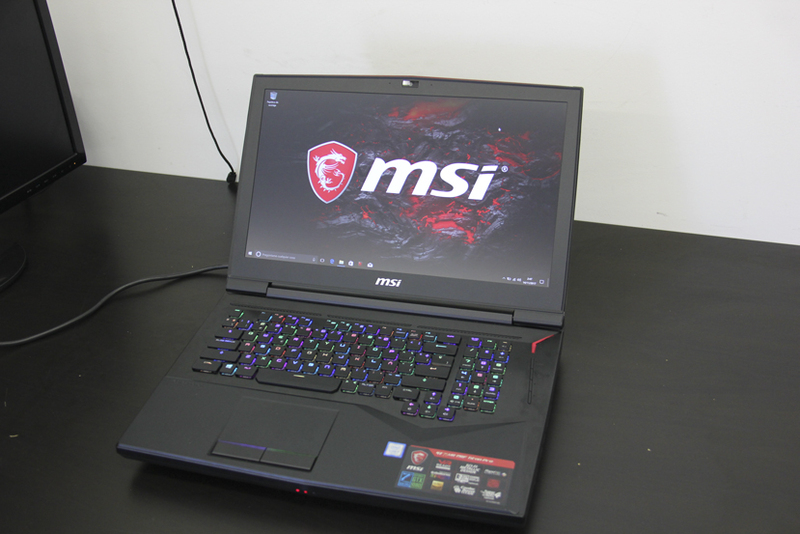 We could say that the MSI GT75VR Titan Pro is a GAMING LAPTOP with capital letters; it does not pretend to be a super thin, lightweight ultrabook or have a battery life that lasts for hours. However, it does intend to offer the best performance without having to deal with speed limitations in order to avoid overheating. In this device, every component can work at their maximum performance level, and even more than that, thanks to the great overclock possibilities without having any trouble due to cooling restrictions. 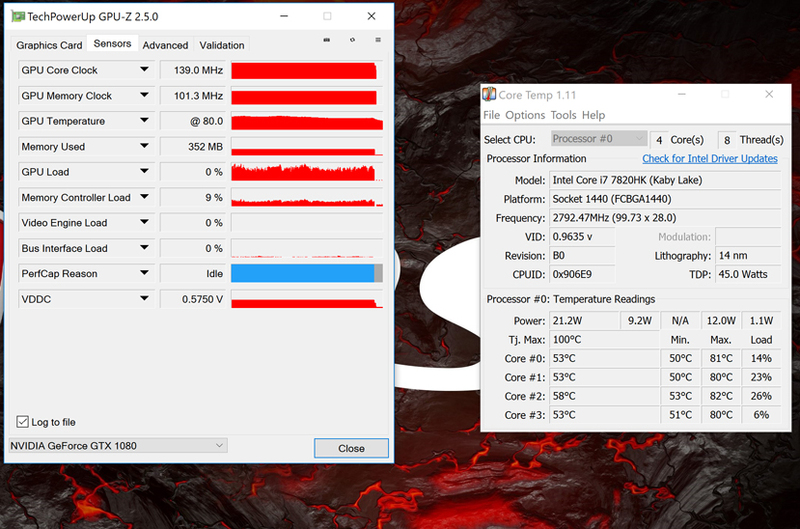 This has turned this device into the laptop with the best CPU performance that we have ever tested in Geeknetic, only being topped by the MSI GT83VR with its two GTX 1080 in SLI configuration and its NVMe SSDs in RAID configuration that fit the device really well. 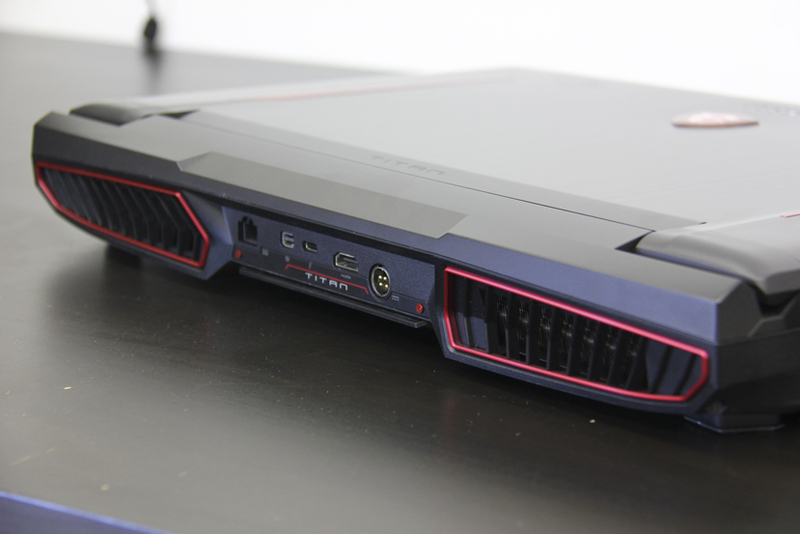 Of course, this device is as exclusive, powerful and large as it is expensive: we are talking about €3,900, which is the price point of the MSI GT75VR Titan Pro in our country. However, while prices soared for other laptop models due to how difficult it is to create very thin and small designs as well as powerful, in this case all the “budget” is spent only on raw performance and power. 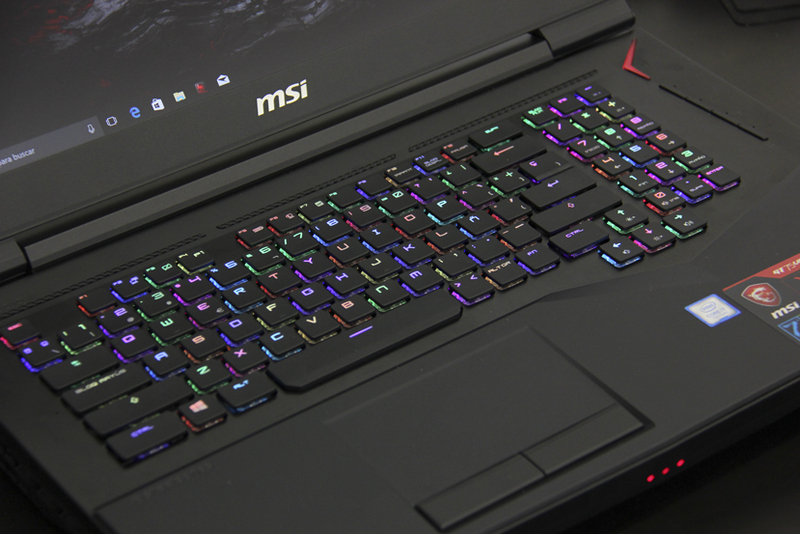 We cannot forget about the display, which is able to cover more than 100% of the Adobe RGB color gamut, or the mechanical keyboard that we liked so much and that we hope to see soon in the rest of MSI’s gaming laptops lineup. 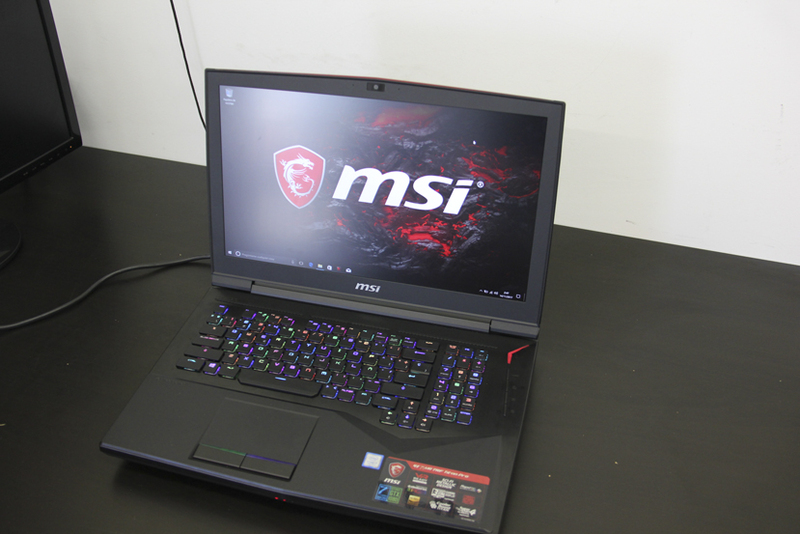 The MSI GT75VR Titan Pro will certainly delight those looking for maximum performance on a laptop that can easily replace many high-end desktop PCs in terms of power and specifications. Previous [Test] Netgear Orbi RBK50: the Rolls Royce of WiFi networks?